I had a rough September where I came down with a flu, and had other personal issues that really set me back. Luckily, I'm finally back and healthy and can start working on more helpful fitness and fat burning tips as well as more free fat burning and afterburn effect inducing workout videos for the Bonus Series. This workout is designed for five, three minute rounds. 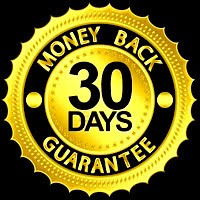 The same principle as some of the workout videos in my fat burning 12 day Fat X Program applies, you are to proceed through the exercises and complete as many circuits as possible in each three minute round. Next time you do the workout, the idea is to challenge yourself to beat your numbers or stats. 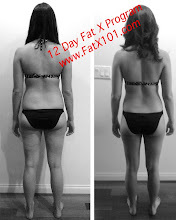 Those of you that have done the Fat X Program are will already be familiar with this system of tracking workouts. By the way, because my most of my workouts and the exercises I utilize require minimal equipment, you can do this indoors or as you can see in the free workout video, you can do it outdoors. There is no gym necessary! Going from doing your workouts indoors and in a crowded gym, to changing up the environment and going outdoors can do a lot for your exercise motivation. The city of Pasadena has beautiful parks. 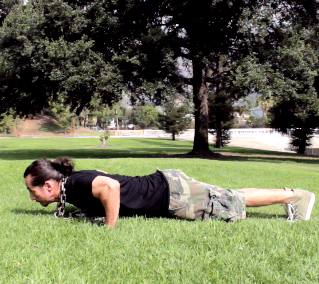 I shot this free workout video at one of the city of Pasadena's parks, Gwynn Park. If you live in the city of Pasadena, or any of the surrounding areas, Los Angeles etc., feel free to contact me if you need one on one personal training (fitness coaching). Hiring a personal trainer (fitness coach) is a good idea so that you're not wasting your motivation, time and or money aimlessly wandering the gym. Many have labeled me the best personal trainer (fitness coach) in Pasadena, and the results that I've produced do point in that direction. I'm proud of my clients that have worked hard and have elevated me to that stature. Feel free to post any fitness, exercise, or workout related questions you have for me here, on the Fat X 101 Facebook, or on my Twitter. I'm more than happy to answer them. It helps you, and it helps me by keeping me sharp and on my toes.